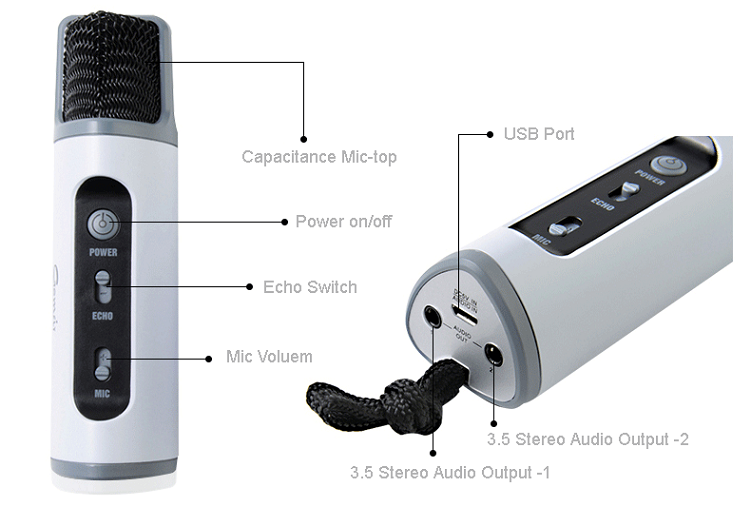 This Mobile Karaoke Microphone has a compact design and is full of features yet it is easy to use.Just a few simple instructions and you will become an expert. the specific operation you wish to perform. For your easy reference, listed here are some of the main features of this Karaoke System.